New Line Cinema is in final negotiations with director Steve Quale — best known as James Cameron’s visual effects supervisor and second unit director on Avatar and Titanic — to direct Category 6, a “found-footage” picture in the vein of Cloverfield about high-school students documenting the wrath of an enormous, tornado-spawning windstorm. 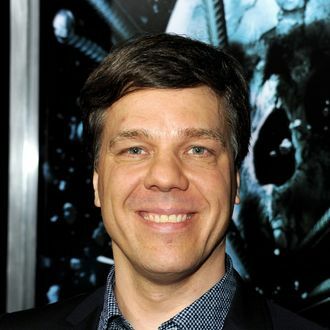 Quale had made his directing debut last year on the fifth iteration of Final Destination, which would go on to become the second-highest-grossing film of the now dozen-year-old franchise. He was responsible for much of the envelope-pushing 3-D in Avatar, and so involvement with “Cat 6,” as the D-girls call it, almost assuredly means that the film will be shot in native 3-D as well. And, yes, weather nerds, we know: Technically, the Saffir–Simpson Hurricane Wind Scale only goes to Category Five (156 mph and above), but after 2005 produced the most active Atlantic hurricane season in recorded history, killing nearly 4,000 people, many scientists pushed for the creation of a new “Category 6” to cover those “super-typhoons” whose winds exceed 174 mph. No, to us the real problem is the 2005 CBS made-for-television movie Category 7: The End of the World, with Showgirls’ Gina Gershon as the director of FEMA. As such, for Quale’s title to have any heft at all we recommend renaming it at least Category 8, and possibly even casting Elizabeth Berkley as the executive director of the National Hurricane Center.